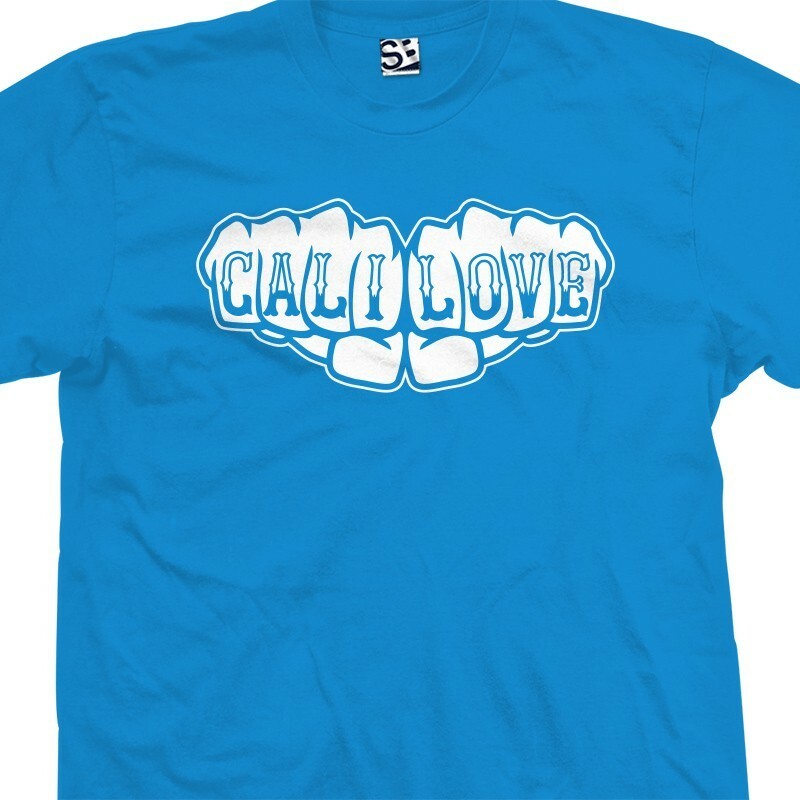 Represent California with the Cali Love Fists T-Shirt. Part of our Knuckle Tattoo line of tees. Available in multiple garment and print colors and almost every size imaginable.